Native American Indians living on the grass covered plains and prairies of the mid-west, where there was a scarcity of trees, utilized sod or turf to construct Earth Lodges. 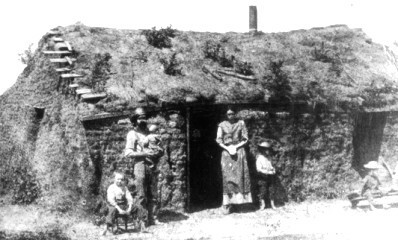 American Homesteaders moved to the prairies and also used earthen material to build the rectangular shaped Sod House. 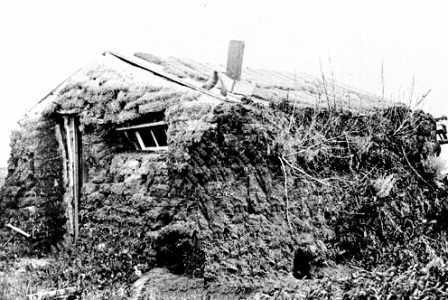 The settlers sod house was built using 'bricks' of sod (turf). The process of making the earth bricks was made easier by the use of a lightweight steel "breaking" or "grasshopper" plow.